What you’re looking at is essentially a way to visualize the “also boughts” list on Amazon. If you have a book for sale, or just want to see books that are similar to a favorite novel, try it out. Also: it moves. Hey that's cool! Thanks for the link! Yours is so close to Rae's, but not connected. Interesting! Aside from being cool, there is some interesting, and potentially useful information here. 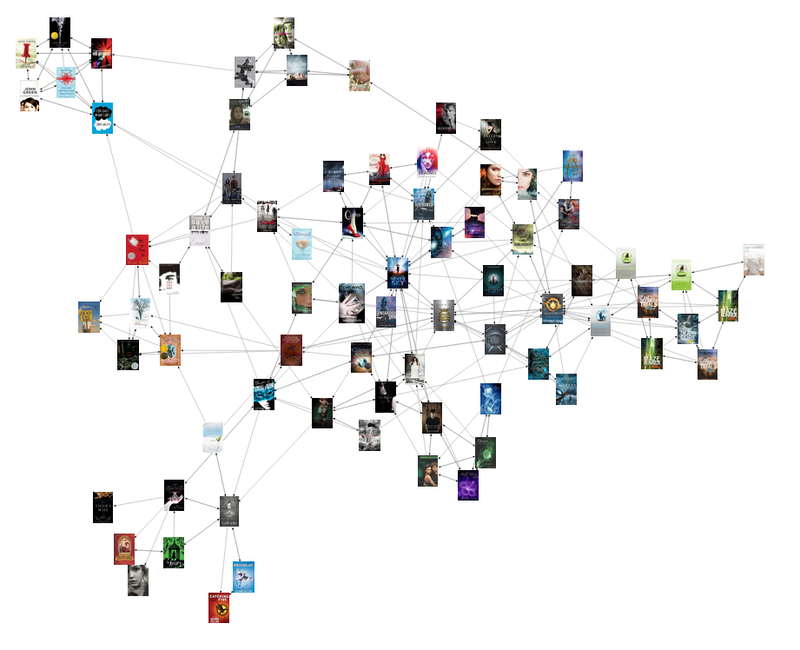 The biggest takeaway is how many books link back to yours. This is a huge indicator of your reach. 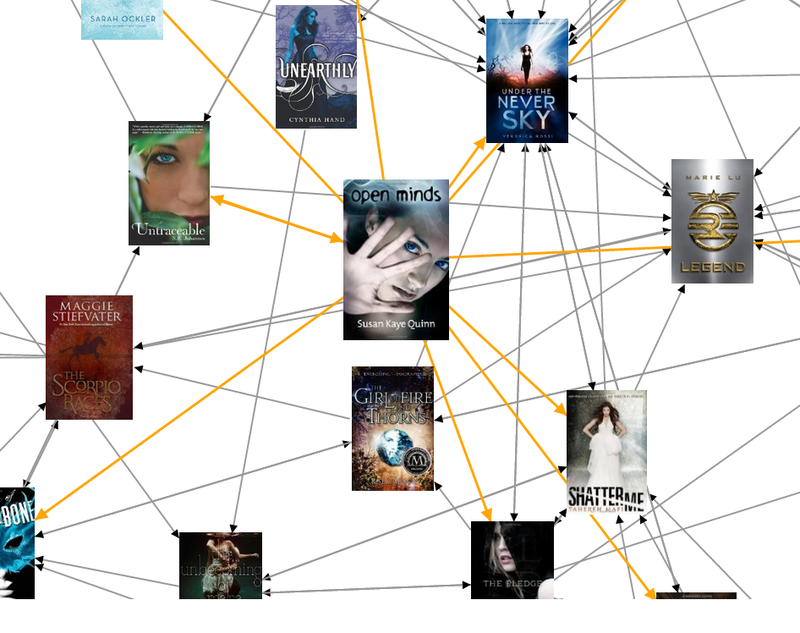 And if you can find a way to get more books to link back, then you are doing something great. The key to making that happen isn't that easy though. I don't know the algorithm that goes into calculating this, but if it's based on the "also boughts" that means that people who bought my book also bought those books. Which is great (and one of the great Amazon marketing engine powers), because it helps people discover your book. This is actually working well for the Indelibles – more people that buy our books together, help link them in the also-boughts and increase our discoverability. So, I think this means that cross-marketing has a lot of potential. But in the end, everything is driven by number of sales.